The General Data Protection Regulation (GDPR) is a European Union privacy law in effect as of May 25, 2018 that protects the personal data of individuals located in the European Economic Area (EEA). 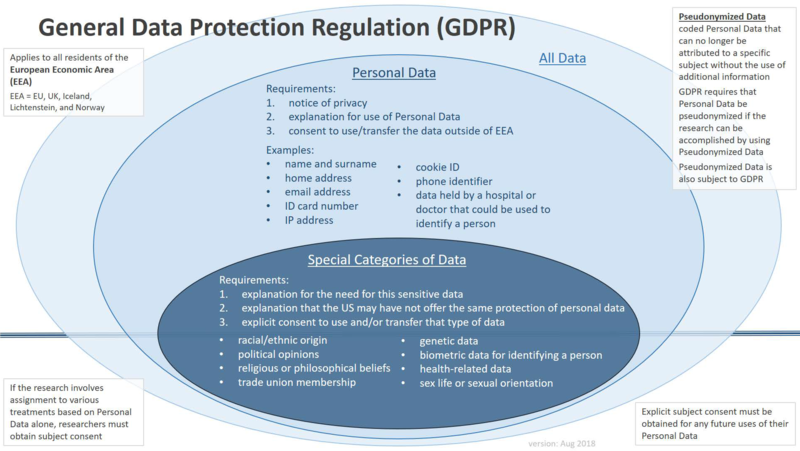 When organizations, including the University of California, offer goods or services to people in the EEA or monitor the behavior of individuals in the EEA, any processing of personal data must meet the requirements of GDPR. This memo provides information on the European Union’s General Data Protection Regulation notice and consent requirements in informed consent forms.